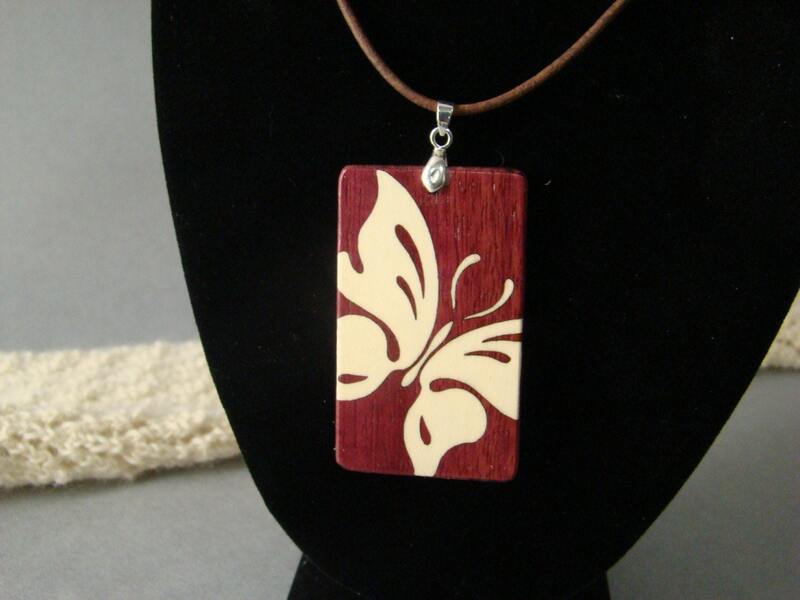 My butterfly pendent is made of solid purpleheart with a inlaid butterfly of holly. The pendent is approx. 1-1/2" x 2-1/2". It is held onto the leather cord with a sterling silver clasp.